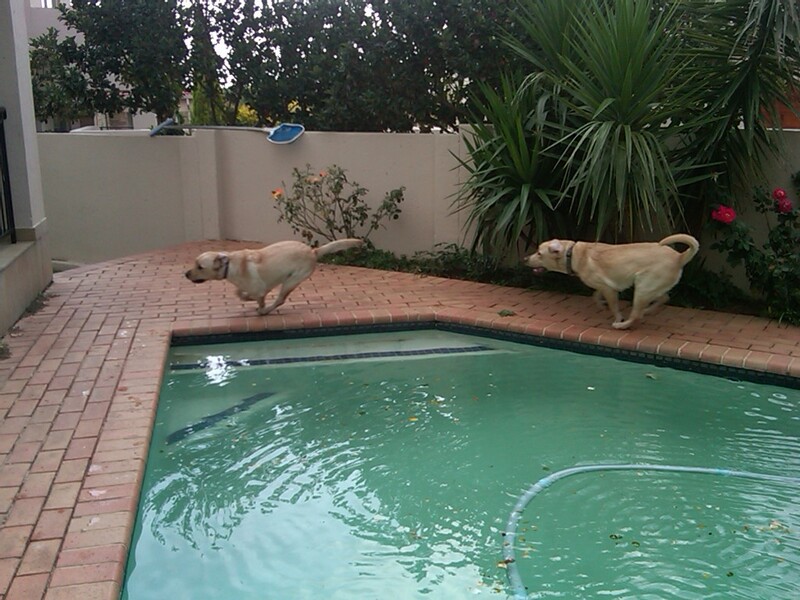 This is what happens when Kenzo arrives – Riddick is all over him from the second we walk in the gate, and then they run – round the pool, round the house and back again – until they’re worn out, and then they drink water from the swimming pool before coming inside with me. 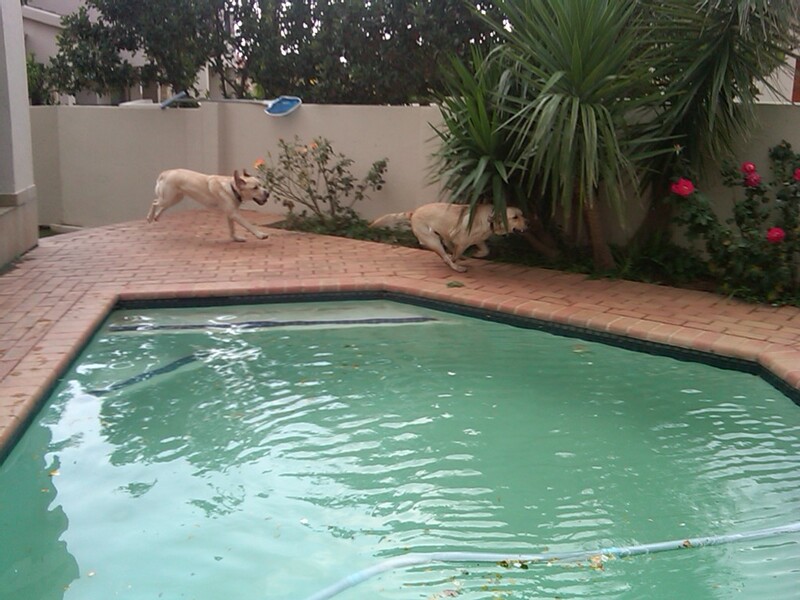 And then they drink water out of the pool. Kenzo is an absolute sweetheart! He’s such a people-loving dog and likes nothing better than a ride in the car. He’ll even jump into the boot so when I have him at the boot and we’re loading food or groceries or whatever, I have to tell him to sit-stay else he jumps into the boot! We’ve done a lot of work with waiting before walking through a doorway – on and off the lead – and he obeys instructions immediately. He’s great on lead, which is thanks to his daily guide-dog training with his SAGA trainer. He’s very seldom vocal even when Riddick is barking so he’s made great progress in that aspect. He’s still not mad about being in the front footwell of the car, so we’ll continue working on that a little at a time. Things like getting him to get in on that side of the car, and eating his breakfast or supper in the car whilst in the footwell. We’ll fetch him tomorrow afternoon after his normal Friday training, and he’ll spend the weekend with us again. 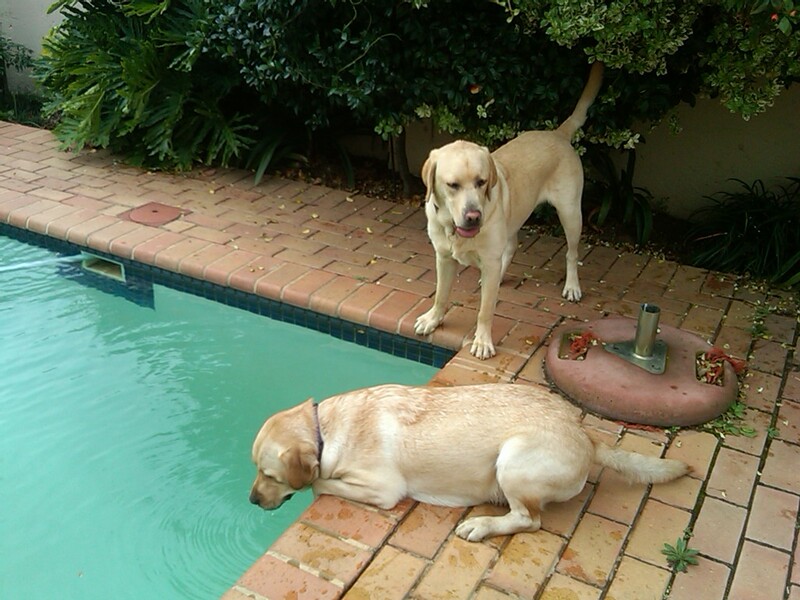 click on the puppy to make a donation to the SA Guide-dogs Association. Follow @SAGuide_Dogs on Twitter and find them on Facebook! 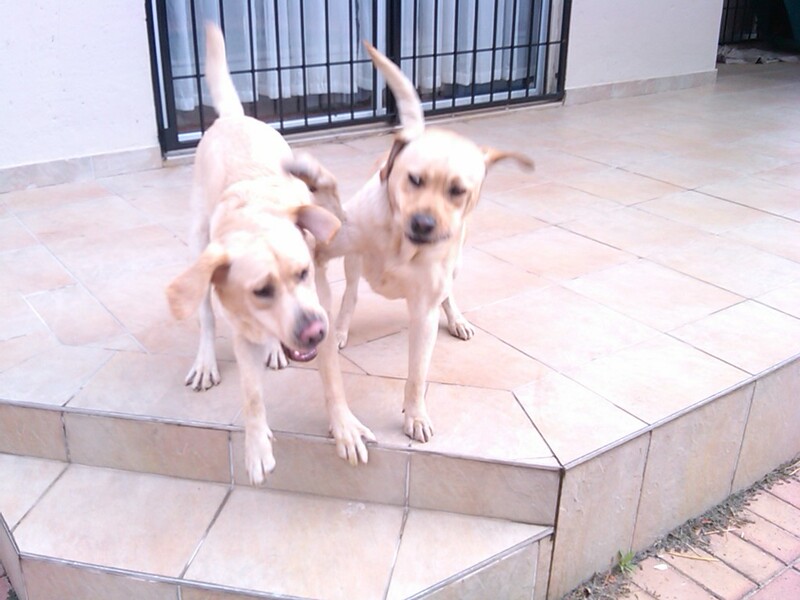 This entry was posted in about my dogs, GDApupKenzo, Guide Dog Puppy Raising by Angel. Bookmark the permalink.